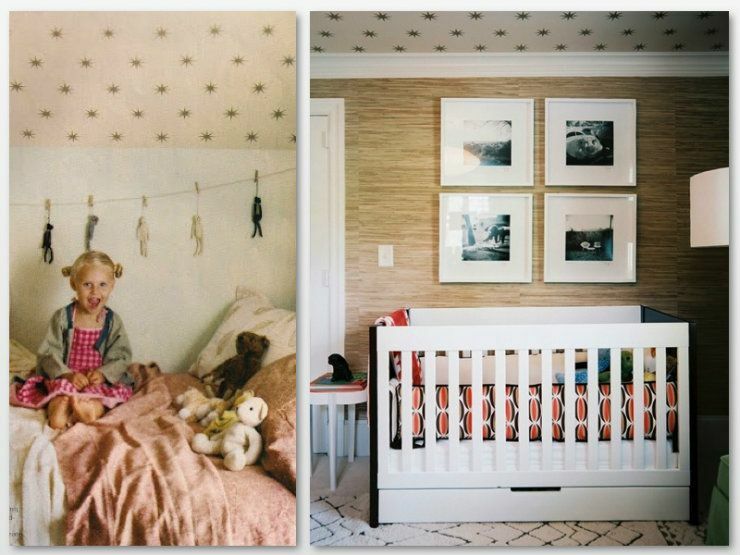 I really love the look of star wallpaper on the ceiling. 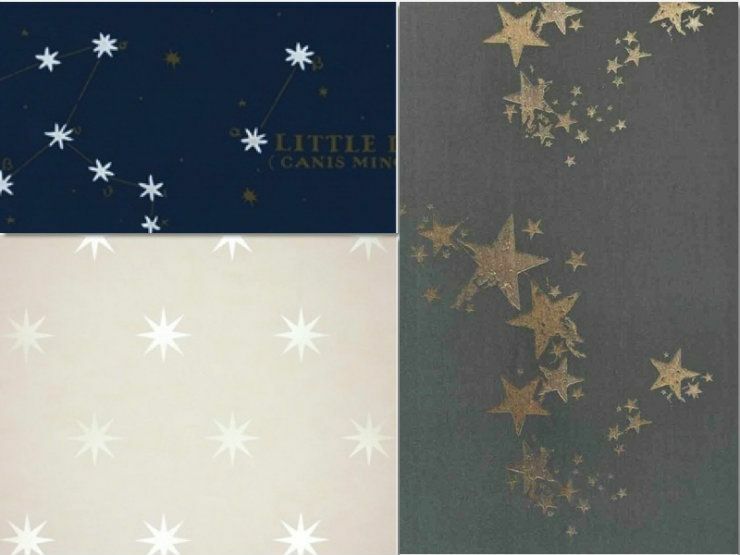 Today I am considering either buying paintable wallpaper and painting my own stars or just buying a stencil and forgoing any wallpaper and just go to town with some paint. UPDATE: Reader alerted me to some really cool decals found here. Thanks Ashley!! Below are a couple stencils I am pondering. They can be found here & here. On a nother note I am off to find some treasure. Do you shop consignments shops? I recently picked up this little number but in a different color. Apparently I got a good deal considering that they are kind of hard to find and considering that on 1stDibs I couldn't really pick one up for less than $10,000. I'm thinking that the $250 that I paid isn't too shabby. P.S. - I love the idea of a room with built in wall to wall beds. Erika Powell did such a great job designing such a space. 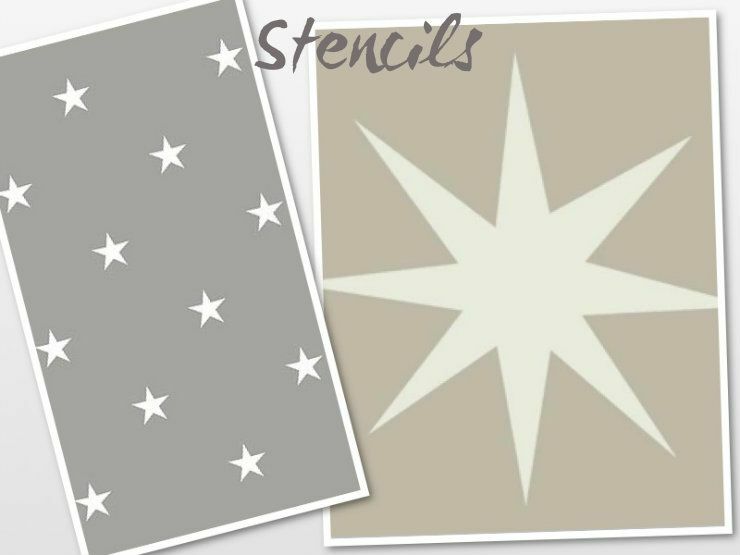 I did a star ceiling for my son's nursery recently...I tried the stencil route first, but it was really hard to stencil upside down and maintain a high quality finished product (stencil never stays quite flat, leads to some bleeding, etc). So I ended up trying the decal route - I bought a bunch on etsy from the seller Elmo Studio, and it was a life saver! So easy to apply (and remove). And I think it looks much better than the stencil would have - cleaner edges, and I did a more interesting pattern than just a grid. Just something else to think about! that piece is beautiful! what a find! So happy for your input Ashley..thank you. Making I will just stick to making my own wallpaper. I will check out those decals as well. Christine, I do vinyl and can make you some custom stars if you wanted. I think I might try it on my girls' room. Then, if I don't like it in a few years, no need to repaint, just peel the vinyl off. I have some gold that I think might look pretty awesome. We're on the same star wavelength. I just posted an Instagram of that Coronata Star wallpaper today! 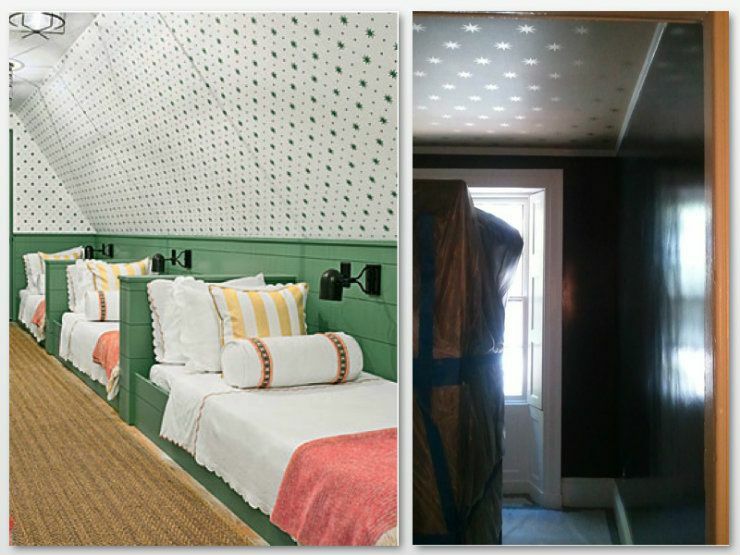 I was literally just thinking about star wallpaper on the ceiling and voila...happened on to your post- love the look! And don't get me started on your find- amazing!!! Oh my gosh, I love your find. Gorgeous! I just love the star idea! Decals do sound easier... ; ) especially on a ceiling. You know I love your find (as I have the same one - yes, we might be twins). Can't wait to see yours. So cool. And I'm loving stars lately. Just bought a little star blouse from Marshall's the other day. I think stenciling them on the ceiling will be amazing. 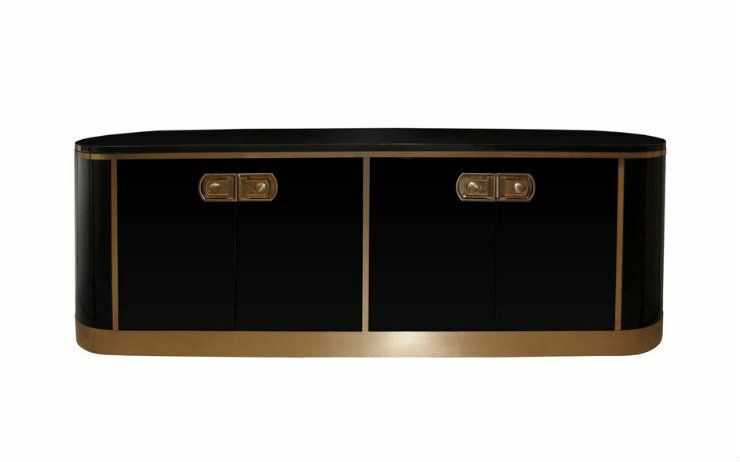 Hi there, I was wondering if you have sourcing info on the dk. grey with gold stars pattern at the top of the post. If so, would you mind sharing?